After path-breaking announcements in the field of artificial intelligence, data analytics and other emerging technologies in the year 2018-19, industry insiders had many hopes from this year’s interim budget. However, apart from a handful of key announcements, the interim budget for the year 2019-20 left many questions unanswered. 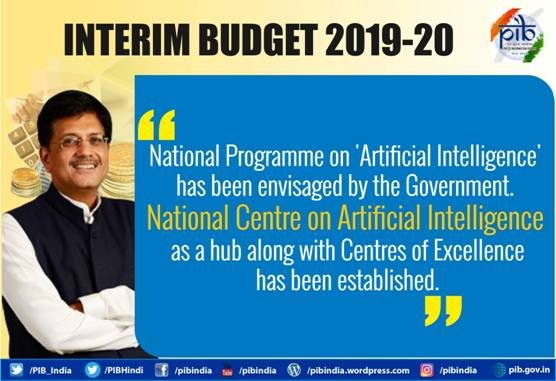 To actualise the ambitious initiative of the National Centre for AI, Goyal announced that the Central Government has identified nine priority areas. Union Minister said, adding compliance procedures and regulatory bottlenecks concerning startups are also being currently looked into. He also added that the Government would be working towards creating a national portal for AI in the current year itself. Goyal also talked about how India has become the second-largest startup hub of the world. “We are proud of the hard work and innovative ideas of our youth in this sector,” he said. Goyal also added that due to this buzzing startup ecosystem, jobs are no longer being created in traditional factories and that job seekers have now become job creators. Through the Pradhan Mantri Kaushal Vikas Yojana, over 1 crore youth are being trained to help them earn a livelihood, said Goyal. “Youth power has been harnessed through self-employment schemes including MUDRA, Startup India and Stand-up India… The government is proud of the hard work and innovative ideas of our youth,” he added. 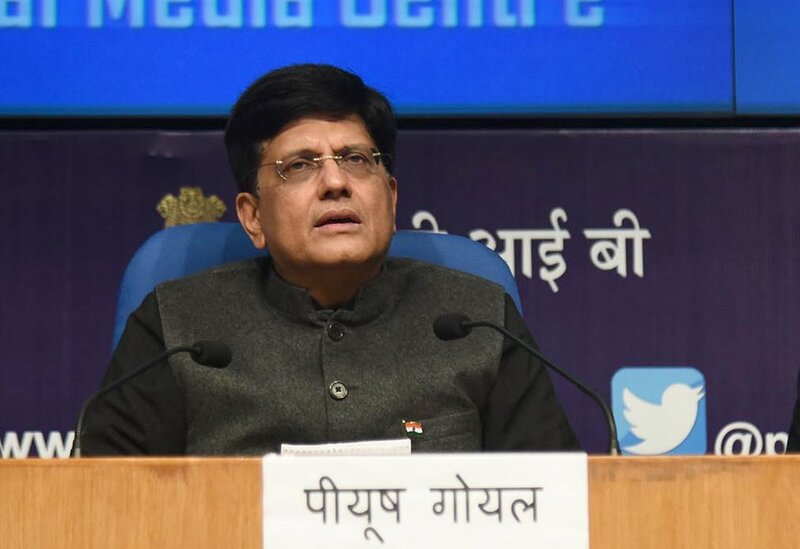 Goyal also announced that the Government was planning to create 1 lakh digital villages in India over the next five years. According to the budget documents, the government in this year’s budget reduced the allocated amount to ₹25 crore from the revised estimate of ₹28 crore in FY19. The cumulative allocation for the department of industrial policy and promotion (DIPP) was also reduced to ₹5,674.51 crore for 2019-20. Meanwhile, last year, Finance Minister Arun Jaitley had doubled the allocation on Digital India programme to ₹3,073 crore in 2018-19. Experts have suggested that due to the upcoming elections, the focus of this year’s budget has been shifted from technology and business to education, agriculture and tax reforms for individuals. So far, the Narendra Modi-led BJP Government has been working towards achieving its commitment towards Sustainable Development Goals (SDGs) with the help of AI by 2030, as it has the potential to churn out a slew of applications while keeping in mind the quality of approach. Industry insiders were happy so far to see that the Modi-led NDA government has been working towards supporting a tech-driven future. Acting upon these instructions, NITI Aayog had released its AI Strategy, a first-of-its-kind in India, which outlined the scope of research, adoption and commercialisation of AI in India. Startups have been suffering from a downward trend in funding, even though the startup ecosystem is thriving. Many personalities from this sector were hoping that the Budget would allow them some respite from Angel tax, but this issue was unaddressed during the interim budget. But looking at the new fund allocation for their ambitious Startup India plan, many have been worried about the Government changing their focus from business and corporates to public welfare. Despite the subtle change in track by the government, industry giants have welcomed the announcement and are feeling optimistic about the adoption of AI and ML at a large scale at the national level.